The big guys in back row of Fanfare Ciocarlia. The ones who made your bones shake in your body. At Duke Gardens, 9/24/12. 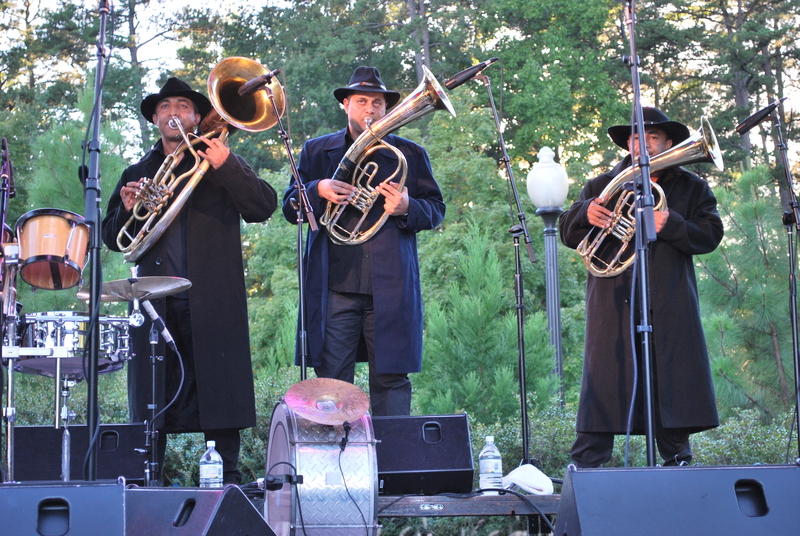 I had planned to write a proper review of Fanfare Ciocarlia, the phenomenal 12-man Gypsy brass band from Romania that appeared in Duke Gardens on a previously quiet Sunday evening (9/24). Presented by Duke Performances to a few hundred deliriously happy people, this rare concert ended DP’s outdoor concerts for the year. However, I find myself without referents. I’ve never seen, or heard, anything quite like this. And I heard it! I knew it was insane, but we put our blanket down front, about six feet from the speakers and maybe eight from the stage and its forest of microphone stands and swamp of cables. Every instrument was miked, at least once. It was loud. It was brass. The singing was in Romani. It was the most fun I’ve had in a long time. A small amount of English was spoken on stage. The clearest word was DANCE! And the crowd went wild, including myself, shimmying in the grass. People who knew the drill stuck dollar bills onto the sweating foreheads of the musicians. 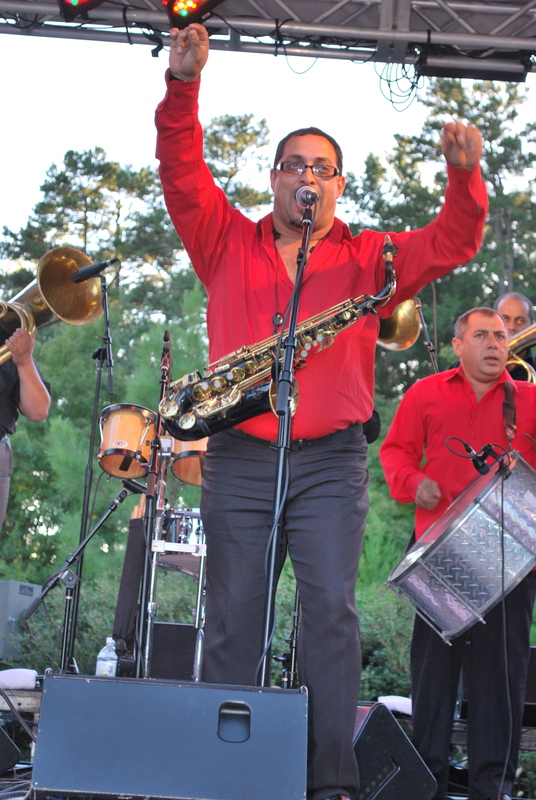 Women in hip belts undulated down front, and hot trumpets urged them on. Young girls jumped up on stage. It was full-tilt boogie to song after Gypsy song. « It’s the last weekend for prima ballerina Melissa Podcasy at Carolina Ballet. She retires after the all-Weiss program. Thanks. I wouldn’t know the difference…just going on information received. Whatever the language, it sounded great! Wish I’d been there and like a perfect way to end summer and get all energized for fall.